In this groundbreaking alternative history of the most dominant ideology of our time — Milton Friedman’s “free-market” neoliberal economic imperialism — Naomi Klein challenges the popular myth of the West’s so-called peaceful economic global victory. 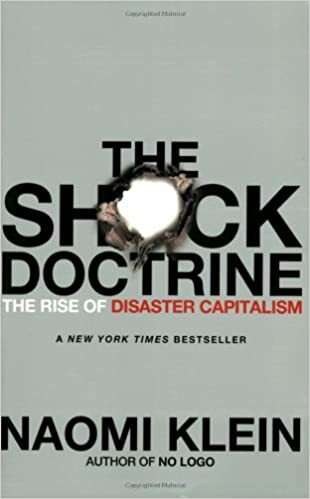 From Chile in 1973 to Iraq today, Klein’s myriad of veritable sources expose how Friedman and his followers have repeatedly harnessed terrible shocks — physical, psychological and economic — to implement their radical policies both abroad and at home. Klein reveals the true violent history of current geopolitical economics, starting with Pinochet’s bloody coup in Chile and following Friedman’s neoliberal policies (as implemented by the IMF and World Bank) through Argentina, Poland, Russia, South Africa, China, Sri Lanka, Iraq and the US (and more).